A new WhatsApp-style messaging service has been set up to alert doctors if a patient has been tested positive for flu to help reduce the spread of the virus within hospitals. An MSP is backing a campaign to deliver flu jabs in local pharmacies. Parents of primary school children are being urged to act now to get them ready to flight flu this winter. Flu can increase the risk of having a heart attack six times within the space of a week, research has shown. 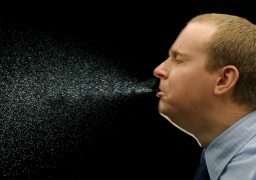 Health officials in the North-east have urged members of the public to self-treat any flu-like symptoms before visiting their GP. People in the North-east are being urged to take up the offer of a free flu vaccine. 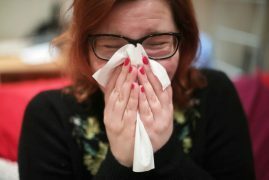 A new online map has shown the North-east is one of the worst-hit areas for a potentially deadly form of flu in Scotland. The North-east’s flagship hospital has been placed on “code red” after a surge of flu patients stretched NHS Grampian to the limit. A ward at a North-east hospital has been forced to close to new admissions. Pittodrie was hit by a flu bug in the build-up to the 2-0 loss to Motherwell, a defeat that baffled boss Derek McInnes described as “alien” to the club. 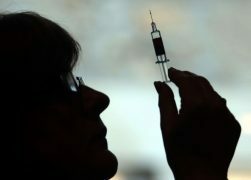 An Aberdeen man who contracted swine flu and nearly died has warned others to make sure they get their jab this season. A pilot project offering the pneumonia vaccination is being rolled out in Aberdeen, amid concerns of a spike in the illness following poor uptake of the flu jab in the North-east.